Waiting until something goes wrong is a sure fire way to cost yourself more money than necessary. It’s a well known fact that preventative measures are not only wisest, but safest for nearly every situation. When it comes to your roof, you never want to take a chance. That is why we have come up with some highly recommended points to encourage you to take the best action for your home. While we understand you probably have tools of your own, it’s unlikely you have the specific tools a professional uses to safely inspect your roof. Because you need to be on the roof to thoroughly inspect it, understanding safe practices is crucial. Many significant injuries, and even death, have resulted from unsafe practices while on a roof. 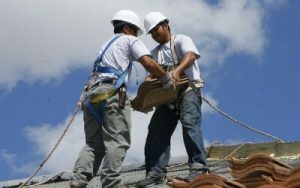 Roofing contractors are trained and prepared with all the necessary equipment to perform a safe, successful inspection. Don’t risk your a serious accident, call a professional today. When you hire professional roofing contractors to take care of the maintenance of your roof, you are investing in your safety and a longer life for your roof. Safety is our number one concern, which means our inspections are thorough, specific, and comprehensive. A professional knows what to look for, and can identify details or potential issues that could easily be missed by the untrained eye. If there is, in fact, early damages that are identified in an inspection, having a professional address them early will save you a lot more money than if you were to wait. With access to a large amount of information, the do-it-yourself fad is always growing. However, trying to fix roofing problems yourself could result in making a problem worse, or as we mentioned earlier, potential injury. In addition, choosing a professional to take care of your roof, whether it be repairs, reinstalling, or an inspection, you can be sure it’s done in a timely manner. We make sure to only identify issues that are crucial to fix. A&H Forensic Roofing is a company you can trust with all your roofing needs. From repairs, to after-storm inspections, to full replacements, we strive to perform quality business from beginning to end. Our contractors are qualified and dedicated to give you the best results. Don’t wait until it’s too late or the problem becomes too big, call the professionals! 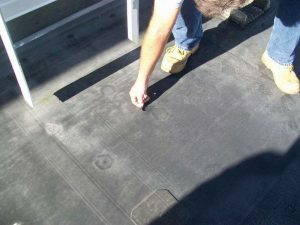 Click here to schedule a free inspection of your roof.